Having known so many of you online fans for so long now, I'm curious as to know - what are your favorite stories about Patsy Cline's life? 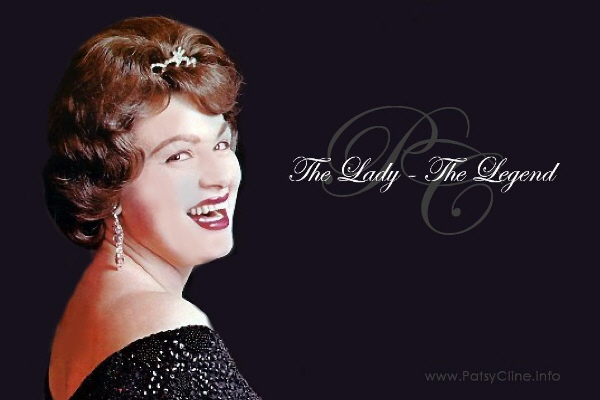 Whether you read it in a biography or heard it in an interview, I'd like to know which Patsy story comes to mind first when you personally think about her. I have so many to count...but I'd say it'd have to be a tie between Dottie West's story about Patsy terrifying Roy Orbison to death when she drove the car in which he was riding in on one tour...the other would probably be the Jan Howard story (though I've heard it a million times) of how she and Patsy met backstage at the Opry. That story, for me, describes what kind of woman Patsy Cline could be if you got in her way and why she was such a verbally strong woman for her time. For me it is the things she said to a young man who was very nervous about his first appearance on the Opry stage. If she hadn't "encouraged" him to go on stage while "relaxing" him and removing his fear then country music might have lost one of the fine and great gentlemen performers. There is a polite public version and a more graphic version that I heard from the gentleman himself. Who admitted to being a little embarrassed by Patsy's straight no holds barred way of talking. Was he more in fear of what Patsy would do if he didn't go on stage than he was of what the audience would do if he did go on stage? Enough to say he went on stage, and was a resounding success. So one more reason to be grateful to Patsy Cline. Sounds to me like George Hamilton IV. I always admired the fact that she was so giving to others when times were "slim" even for herself! Patsy may have come from the wrong side of the tracks but she had a good heart when it truly counted!
" if you can't sing it with feeling, then don't "
Then as that is true, Patsy had a warm generous heart, maybe the other side was the wrong side and Patsy was from the right side of the tracks after all. The story about throwing water balloons out the window in Chicago, as told by David Ward Davis on Lisa Flood's Site Patisified. And, there is picture proof that story is true. The ones that touch me personally are of the sacrifices and hardships of her childhood. She worked to help her Mom provide for her younger siblings. I come from a single parent home with a younger brother and sister, and know how difficult it can be. She loved her family so much and did anything she could for them, and I guess I sorta know where she came from having been in a similar situation.... she was a blessing to her family. This came up in a recent conversation about Patsy. When she was injured in the car crash she apparently insisted that others who were also injured were taken to hospital first and she would wait for the next ambulance to arrive. You know, I love Patsy so much, any story I hear about her is my favorite. But Patsy is someone who every once in a while, you hear a "new" story and you marvel at the fact you have heard something "new". I truly wish Charlie would have written a book about their time together, I don't really believe all the "Patsy was about to leave Charlie, had she lived". Her actions seemed anything but that!